If there’s one thing that really grinds my gears, it’s when people say, “It’s cheaper to go to Japan and ski than it is to do it in Australia”. Granted, flying to Japan (or New Zealand, or the French Alps) is an incredible way to partake in winter sports, but if you’re lacking in the time department, it’s definitely not the most logical option. Plus, as we discovered, it’s not actually cheaper! Seeing the snow in Australia isn’t hard, it doesn’t take long, and it doesn’t have to be expensive, you just need to arm yourself with some knowledge before you head off to the slopes. Staying at a luxury ski lodge or chalet is one of life’s greatest pleasures, let’s just put that out there. However, if your budget simply doesn’t allow it, it doesn’t mean boycotting your ski dreams and staying home. Do your research about nearby accommodations and decide what you’re willing to sacrifice. For example, would you stay in shared accommodation to save a few hundred dollars a night? Or are you willing to give up comforts like a bar and sauna, but need to stay in a private room? No matter what you decide, there’s a range of options available in Jindabyne. Located just 30 minutes out of Thredbo and Perisher, you can find something within your budget, in close vicinity to the slopes. Likewise, if you’re heading to Mount Hotham; Hotham Heights and Dinner Plain will provide a range of affordable accommodation options. Situated in the heart of the village, this comfortable backpacker accommodation is a short walk to the slopes and has a full kitchen to use throughout your stay. $120pp per night for four people in a studio (peak season); check in Friday, check out Sunday in July. Just a 10-minute walk from Mount Hotham Alpine Resort and just over 2.5km from Mount Hotham, there’s also free wi-fi and a free area shuttle. $320 per night for two people in a standard room; check in Friday, check out Sunday in July. A family-friendly hotel with free brekkie, and only an eight-minute walk to Village 8 Express and Perisher resort. $610 per night for two people in a standard room; check in Friday, check out Sunday in July. Featuring its own bar, bistro, spa and sauna, this hotel also has no minimum night stay, meaning you can stay just one night if you like. It also has one-, two- and three-bedroom apartments that sleep up to 12 guests, so families and groups don’t need to split up. $241pp for two nights in a one-bedroom unit that sleeps six; check in Friday, check out Sunday in August. At the luxurious end of the budget scale, Candlelight Lodge has sweeping views of the slopes and is situated within a 15-minute stroll of Thredbo Leisure Centre. It also has its own bar and sauna. $1090 per night for a family of four in a family room; check in Friday, check out Sunday. This luxe-style family retreat is just a 15-minute walk from Falls Express and features its own restaurant, bar and lounge – as well as some pretty decadent furnishings. $590 per night for a family of four in a family room with valley view; check in Friday, check out Sunday in July. So many people fall into the trap that comes with being unorganised. Waiting to hire your snow gear until you get to the slopes means that you’re at the mercy of the retailers who can quite frankly charge you anything they’d like ($50 per day just for the pants and jacket in some parts!). To ensure you’re not selling an organ to get a set of skis and a jacket, try places like eBay and Gumtree before heading off for the weekend. Better still, ask a friend to borrow theirs – odds are if they’re not planning to hit the slopes, their gear is just taking up room in their house! Sure, part of the attraction of a snow break is the nightlife. The beautiful warming meals, the mulled wine – oh, and the jam-packed restaurants? Yep. Some of your favourite ski villages just aren’t built to handle the volume of the winter snow crowd. Eateries in places like Jindabyne are often packed to the brim and for those on a budget, can be a little out of the price range. If you’re in a group, it gets even harder to get in to eat – so the best advice is to stay somewhere with a kitchen, and prepare your own meals, brew your own mulled wine, and spread out in your own dwelling, without having to give the table back by 8pm. It’s also a good idea to buy your supplies before you make the trip, as the supermarkets in ski towns are often much more expensive, because they can be. For just $779, you can buy an Epic Australia pass for Perisher ski fields. With that you get unlimited, unrestricted access to Perisher during the 2018 season, as well as free access to a number of slopes in the United States. With the annual pass, you also get savings on accommodation options, like 15 per cent off rooms at popular accommodation, The Station. You also get six ‘Bring a mate’ discounted lift ticket invitations to share, up to 25 per cent off lessons, discounts from food and drink outlets and free access to Night Skiing and Boarding. Lift tickets for one day for an adult are $136 – so if you plan to ski more than once, the annual pass gives you more bang for your buck. If it doesn’t faze you which mountains you ski, then it could be worth investigating smaller mountains, like Selwyn in NSW, which is still part of the Snowy Mountains. 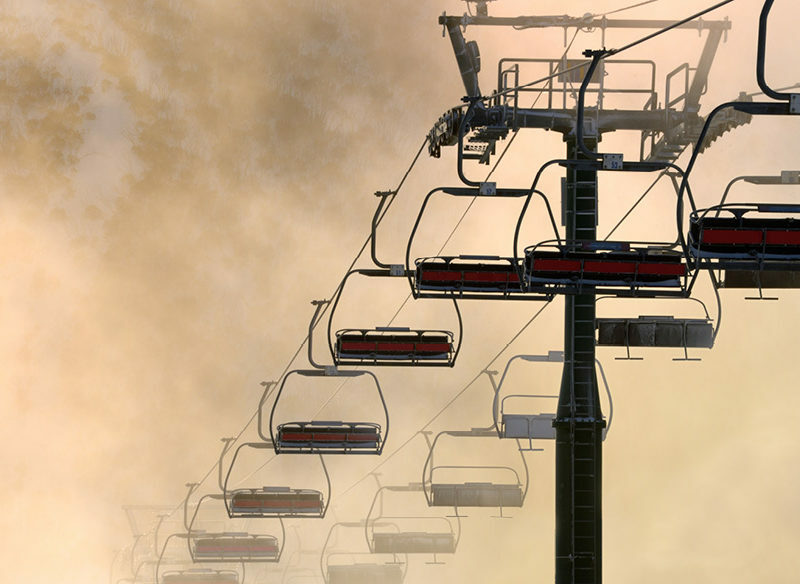 A one-day lift pass at Selwyn will only cost you $90, and $170 for a two-day pass. Likewise, an annual pass will set you back just $429 – as opposed to $779 at Perisher. Mount Mawson in Tasmania is a small club field operated by the Southern Tasmanian Ski Association, and is operated and patrolled by volunteers. Catering to the beginner and all the way up to the advanced skier, the snow field features three rope tows and four kilometres of slopes, which are included in your ticket price: just $35 for a full day of skiing. By booking your ski trip for the month of June or September, you could potentially save hundreds. Though there’s always the risk that the quality of snow could be jeopardised – so that’s something you have to take into account. Know what the funny thing is? 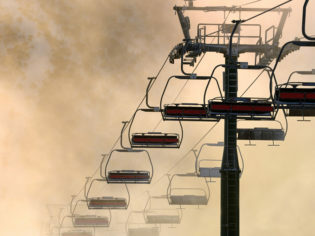 For the past three years, according to onthesnow.com.au, September has seen some of the biggest snowfall at Perisher for the entire snow season – so booking in the shoulder season could be the smartest thing you ever do!